Moodabidri ,July 10, 2015 : Purasabha Chief Officer Sheena Naik along with Health inspector Indu , Environmental Engineer Shilpa S. and Junior assistant Officer Raghavendra raided some of the hotels, bakery and bars in Moodabidri on Thursday, July 9. On seeing previous reports the Health Officer’s inspected Iyengar bakery which was located behind the market in Moodabidri. 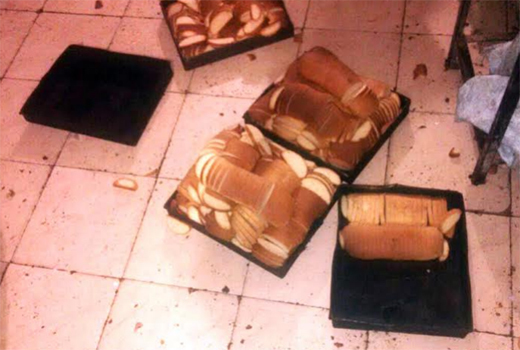 They observed that the food items in the bakery where kept open and was not hygiene to consume. The stale foods were not disposed and kept along with the fresh ones ad was served. The pantry was not well-maintained . On noticing these factors the officer’s ordered the owner to shut the business .It is said that a year back this bakery was locked by the chief officer Rayappa. The kitchens of some hotels and bars in the city were also inspected . The food items were checked. The food was being served in a low quality plastic bags. They ordered the owner’s to maintain cleanliness in and around the shops. Due to lack of hygiene and cleanliness the officer’s seized some hotel and bars in the city. Well done.Such business should be shut down permanently.